Bottom's up! 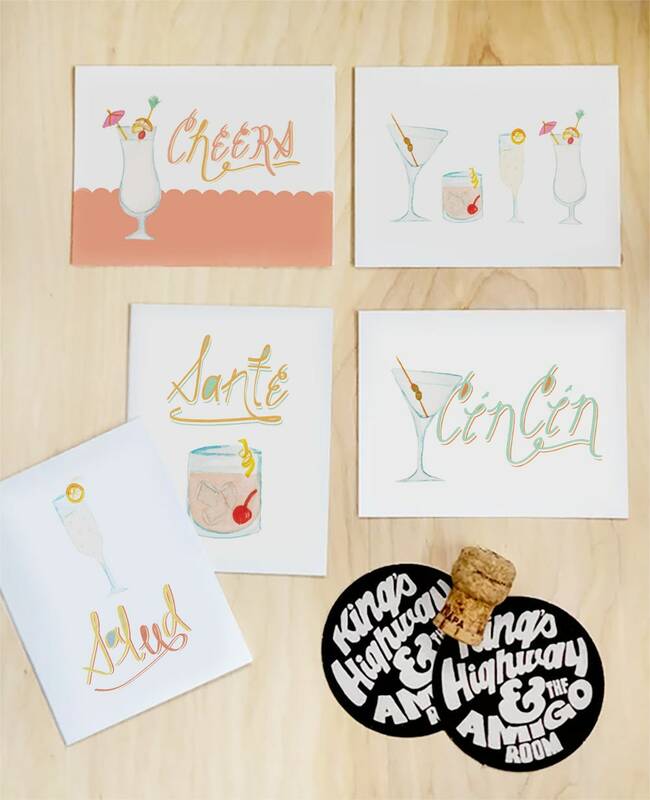 Send a drink to your favorite people through the mail with these hand lettered greeting cards, more colorful than a tequila sunrise! 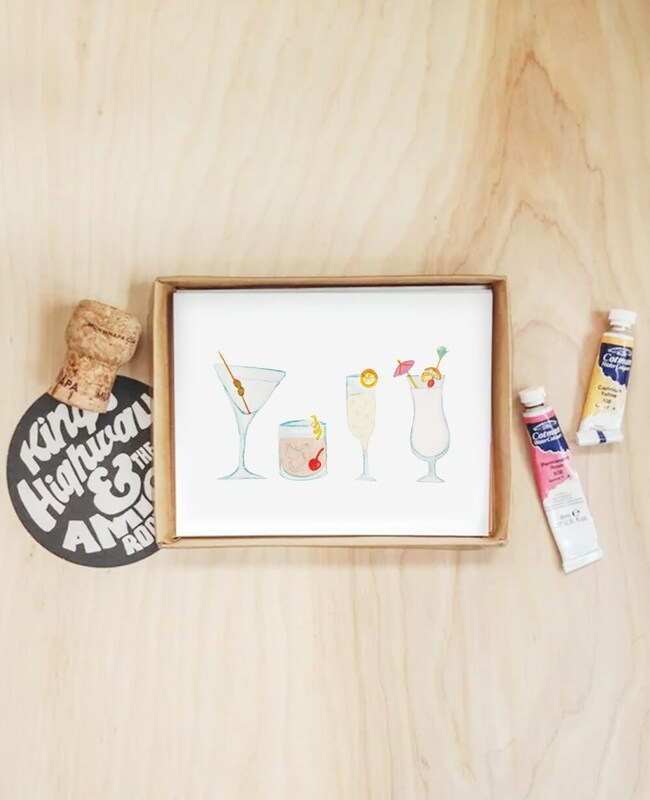 Each card featues a classic cocktail alongside an international toast. 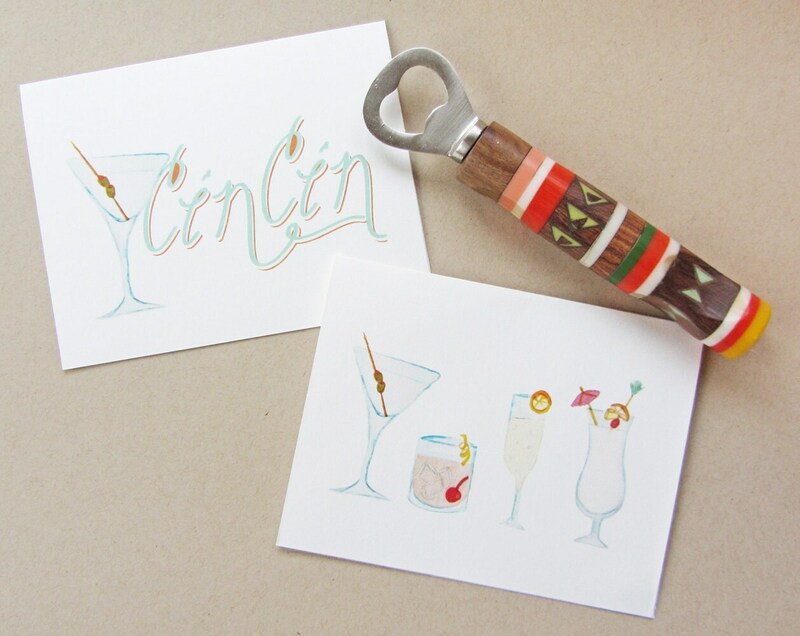 The perfect cards to send notes to friends who know it's always 5 o'clock somewhere! With their celebratory vibe, these cards make for a flexible stationery set to use on various occasions! Use them as 21+ birthday cards, congratulations on weddings or engagements, good luck notes, thank you cards, or just to say hello! Set of six 4.25" x 5.5" cards and envelopes. One each of Cheers, Sante, Salud, and Cin Cin; two Cocktails.